Since September 2006, SEAMEO SPAFA has partnered with representatives of the Thai Fine Arts Department and a civic group in the province of Phrae known as the Luk Lan Muang Phrae Network (LLMP), as well as the Phrae Architectural Heritage Preservation Club to organize various awareness-raising activities on local heritage preservation for local children under a project called 'Community-based Awareness Raising Programme on Local Heritage Preservation for Children'. SEAMEO SPAFA and its partners have also worked with the local community and the local heritage authority to raise awareness on local heritage preservation and to initiate sustainable heritage preservation activities in Phrae. A House Owner Is Awarded a Flag as a Recognition of His Effort in Preserving the Architectural Heritage of Phrae. The programme aims to raise awareness among school children in Phrae on local heritage preservation as well as to collaborate with local community on the revival and preservation of Phrae tangible and intangible heritage through different activities. Activities implemented include monthly study trips for the children to visit local heritage places and local wisdom leaders as well as the Monthly Heritage Bicycle Tour and street exhibitions. 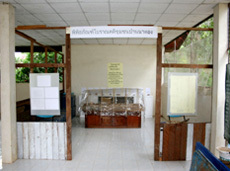 Information on the activities can be found on the project website (http://phraebookhouse.googlepages.com). At present, a book titled "Local Heritage Preservation Kit for Kids" is under preparation. Upcoming activities include a regional pilot project on Community Archaeology at the Ban Natong prehistoric site to begin in January 2009, a Conservation Awards Project in collaboration with the Phrae Cultural Council and the Phrae Architectural Heritage Preservation Club, and an architectural conservation project in collaboration with Streetwise Asia. This Community Involvement Programme was short listed by the State Department of USA to be a recipient of the Ambassador's Fund for Heritage Preservation in 2008. Due to a change in policy SEAMEO SPAFA did not get the grant this year, but we were encouraged to resubmit the proposal in 2009.
in One of the Heritage Tour Series. In order to celebrate the 175-year friendship between Thailand and the United States, the US Embassy in Bangkok collaborated with partners in Thailand to bring a Blue Grass band (a kind of traditional American music) to perform in Thailand. There were three chosen venues including Phrae, as the Embassy was interested community-based heritage conservation projects that SPAFA has been working on with the local community there. 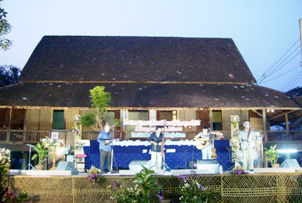 A 113-year-old missionary house within the precinct of the Provincial Office of Formal and Non-Formal Education was chosen as the concert venue. The house was being renovated by the local community and the Provincial Office of Formal and Non-Formal Education in order to be a local learning center. In conjunction with the concert, a brainstorming meeting between members of the local community and government agencies was organized in the house to discuss heritage conservation of the Phrae city in general. The concert was successfully conducted with performances from both American and local musicians. The old missionary house also received much attention from the local public and the media, which helped raise public awareness in terms of heritage conservation in the province. "The Student Loan", an American Blue Grass band, performed on stage in the courtyard of the 113-year-old house built by a group of American missionaries. Now the house belongs to the Provincial Office of Formal and Non-Formal Education, and will be used as a learning centre for the province. Ban Natong is a small village situated in a mountain in Phrae, Thailand. In 2003, the villagers discovered a prehistoric site covering an area of three caves. However, since the village was quite remote, the site remained unprotected and no research was conducted even though it was among the first prehistoric sites discovered in Phrae so far. 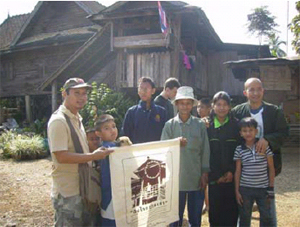 In 2007, SPAFA together with representatives from the Thai Fine Arts Department visited the site together with members of the local community. 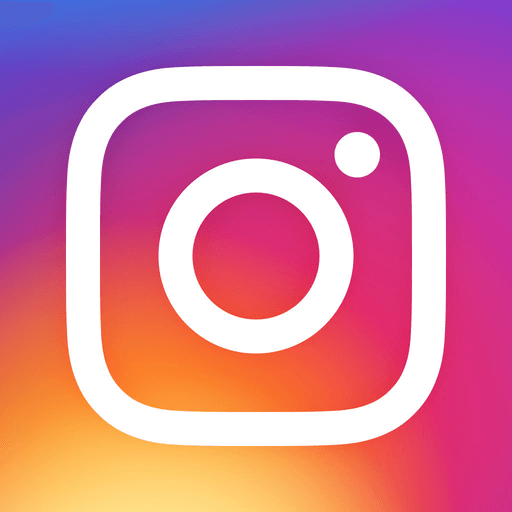 The site was reported to the 7th Regional Office of the Fine Arts Department and was officially surveyed in March 2008. It was recognized as a burial site dated around 3,000 -- 6,000 years old and the first prehistoric site found in that area. The local community expressed great interests to protect and to conserve the site. They requested for permission from the Director-General of the Fine Arts Department to excavate and research the site together with other partners concerned including SPAFA and the Thai Fine Arts Department. The excavation started in January 2009 and was completed in June 2009. The local community participated in all three phases of the excavation. A temporary exhibition was set up in the village temple in order to exhibit some of the finds including stone tools, animal bones, as well as a complete male skeleton which, according to radiocarbon dating, is more than 4,000 years old. The project will continue in 2009-2010. 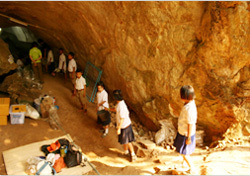 Local school children and member of local community participated in the excavation. As a follow-up project of the research implemented in FY08/09, SEAMEO-SPAFA will continue to work with the Ban Natong community in order to assist the local community to conserve and manage the site. The 2nd phase of the project in 2009-2010 will engage a larger audience of the local community to focus on site protection and management while promoting the collaboration between the local community, the local government offices and the heritage body. The lessons learnt from the project will serve as examples for projects of the same kind in the region. Ban Natong community, Luk Lan Muang Phrae Network, Mae Kon -- Mae Sai Rivers Management Unit, Phrae Cultural Council, Silpakorn University, Office of Archaeology - Thai Fine Arts Department, the 7th Office of Archaeology - Thai Fine Arts Department.